Fill-in the residence registration form with the right details for the Bürgeramt and receive it by email. No mistakes. No German. No problem. No one should have to pay for the single most important administrative step of your life in Germany. Ticking the wrong box can lead to a higher income tax rate. Appmeldung makes sure you avoid that. We get it; there are so many things to take care of when moving to Germany. Filling-up forms in a foreign language is something that we all want to avoid. Your data is processed on servers located in Frankfurt. Your information is deleted after you used the app. Since 2011, SiB is one of the preferred source of information for newcomers in Germany. It has been quoted by the Berliner Zeitung, Expat.com and Bundesregierung.de as a go-to resource. It is also regularly recommended on forums, Facebook, Twitter and Reddit. We get it. No one likes to fill-in forms. This is why Gilbert the Anmeldung bear is taking it very casual. Have a friendly conversation instead of an interrogation. Everything is done through a clear, step-by-step interface. We make a very clean PDF from the information we get from you. Everything is in its right place, perfectly readable and formatted for the Bürgeramt workers. Have your form ready in only a few minutes and receive it directly in your inbox. Pick your city and number of persons to register. It seems like a small thing but the Anmeldung can be a huge hurdle when moving to Germany. Appmeldung spares you the stress of not knowing exactly what to do and the time it takes to fill-it in. It saves time for the German administration too! 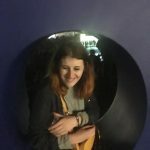 The Anmeldung process was one of the most worrying things about moving to Berlin for me – Appmeldung took some of that worry away and made my application process a lot smoother! Couldn’t have done it without it. I always recommend Appmeldung to people who aren’t too sure about how to proceed. It makes sure you get it right, every time and with very little effort. Still have questions? Get the answers. What is Appmeldung about? How does it work? 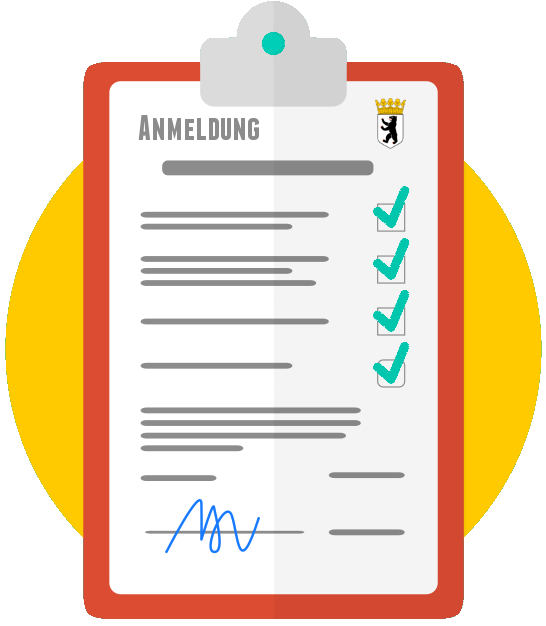 Appmeldung is the easiest way to fill-in the form you need to register residence at the Bürgeramt. A smart questionnaire allows you to place the right information in the right fields. You receive the completed form via email. This saves you time and avoid mistakes. Yes, Appmeldung is completely free to use. It is supported by donations and by affiliate commissions if you decide to sign-up for one of the partners presented at the end. What happens with my data? Is it safe? Your data is temporarily saved onto Germany-located servers to process it (= making a completed form out of the information you entered.). Once your completed form has been sent, your data will be permanently deleted from the servers. The Advanced Encryption Standard (AES) is used with a 256-bit key to encrypt data at rest including the backups of the information. It is also naturally GPDR compliant. You can read more about data privacy in our data privacy page. Does it work for all cities in Germany? Not yet. Appmeldung works for major cities only. It is planned to extend to all cities. 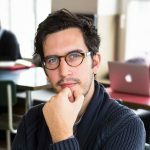 This little service was drafted by Bastien Allibert, the editor behind the blog settle-in-berlin.com. 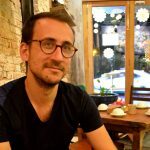 Seeing that many people were struggling with that seemingly simple topic, he decided that there was maybe a better way to start life in Germany. Can i register with my spouse/partner? Yes, but Appmeldung only supports the case where your partner/spouse moves in with you at the same address in Germany. What about the various data protection decisions i can take (for Hamburg, Munich, Frankfurt)? Appmeldung automatically opts you out of any data-sharing scheme so your data is not communicated to third-parties such as parties, religious organizations and so on. Are there any limitations to Appmeldung? Yes but it probably doesn’t concern you. It only allows the registration of your main place of residence. i.e: You can’t specify you have other addresses in Germany. This is fine for 99% of people moving to Germany as they only have one address usually. Also, since this service is free, it runs on limited server capacity. This may lead to a 30 minutes delay to receive the completed form in your inbox. Please note that you might have to fill in your birthname/former name in manually, in case you register under a new last name.